JFK Millennium Partners (JMP), a Vantage Airport Group-led consortium with RXR, applauds the Port Authority of New York and New Jersey and New York Governor Andrew Cuomo’s October 4 announcement that JetBlue has been selected to develop international terminal facilities on the north side of John F. Kennedy International Airport (JFK). For additional information, read the Governor’s news release here. 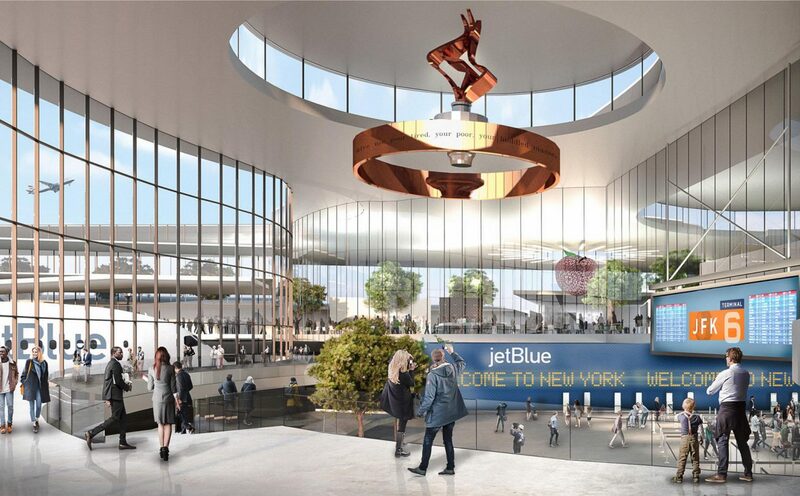 Led by Vantage as lead developer, JMP is the preferred partner selected by JetBlue in March 2018 to advance the airline’s international terminal development project, which will be a cornerstone of the Governor’s Vision Plan to transform JFK into a unified, world-class gateway. Vantage looks forward to continuing on this journey with its partners at JetBlue, and bringing its global expertise to this critical New York airport infrastructure project.